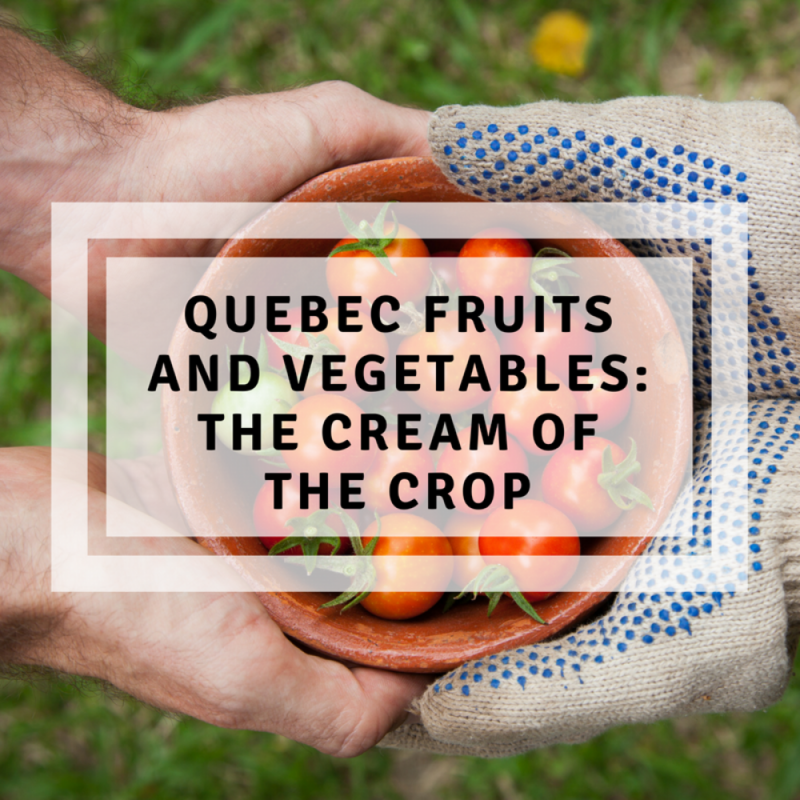 Thanks to passionate and dedicated Quebec producers, we’re incredibly lucky to be able to enjoy fantastic local fruits and vegetables. This month, I invite you to support these producers by paying extra attention to the origin of the food you add to your shopping cart. 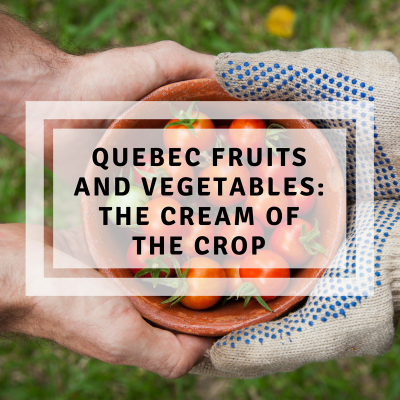 Eating local Quebec foods not only tastes good, but it’s also good for our economy! Les Artisans des Saveurs (what a great name!) was launched as a trademark following a meeting with Michel Lachaume, a hybrid breeder and gardening enthusiast. Drawing on his expertise, Lachaume develops products, ecologically and without pesticides, with the aim of reviving self-sustaining, nourishing and naturally resistant ancestral varieties bursting with taste. It’s also thanks to Michel that we can enjoy Les Artisans de saveurs Charlotte strawberry. France’s most famous strawberry has an aroma similar to that of wild strawberries. The sweet and juicy Charlotte is a favorite with both children and grown-ups! This must-try berry will make your taste buds blush with pleasure. It’s available until the end of September. At this time of year, Mother Nature is very generous and offers up a feast for the eyes and the palate. It’s time to liberally add colour to your plate, starting with Quebec tomatoes. Mixto by Les Artisans des saveurs is a red, orange and yellow tomato variety pack you can dip into to top your salads and poke bowls, make colourful bruschetta and salsa and punch up your pasta dishes. Les Artisans des saveurs grape tomatoes are ready to pop into your mouth, like candy, since they’re naturally sweet. They’re the perfect snack for car trips and outdoor activities. Drawing on the same colour palette, Les Artisans des saveurs’s Coloria offers a tasty mix of mini peppers. There’s nothing better than these peppers to create beautiful BBQ vegetable kebabs or to “pimp” a weekday pizza. For their part, Artisans des saveurs purple peppers are perfect as a crudité thanks to their sweet and refreshing flesh. Their beautiful lavender colour is guaranteed to steal the show when you serve your salad!